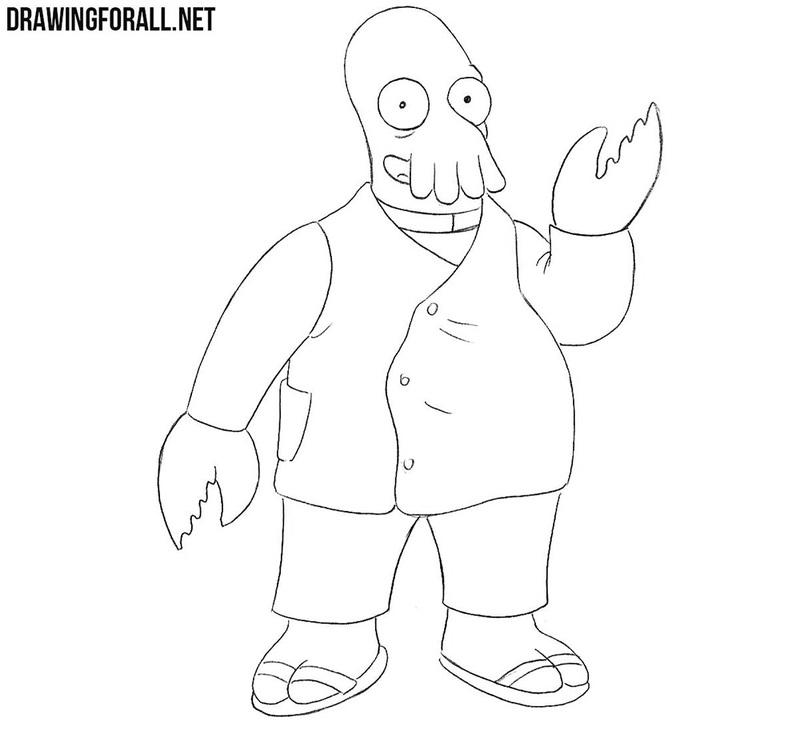 One of the most beloved of our characters from the series Futurama is Dr. Zoidberg – a man-omar-like alien from the planet Decapod 10. 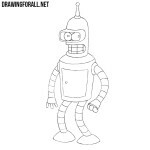 He works as a doctor in Planet Express, although it must be acknowledged that he knows very little about the anatomy and physiology of man and, especially, about the methods of treatment. So let’s learn how to draw Dr. Zoidberg. 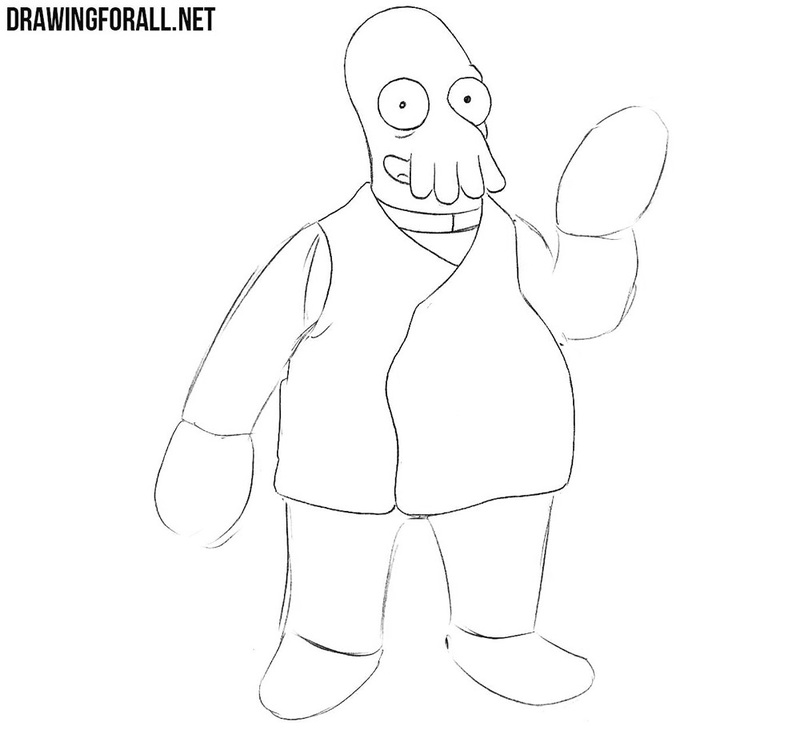 Let’s sketch out the main outlines of Doctor John Zoidberg. 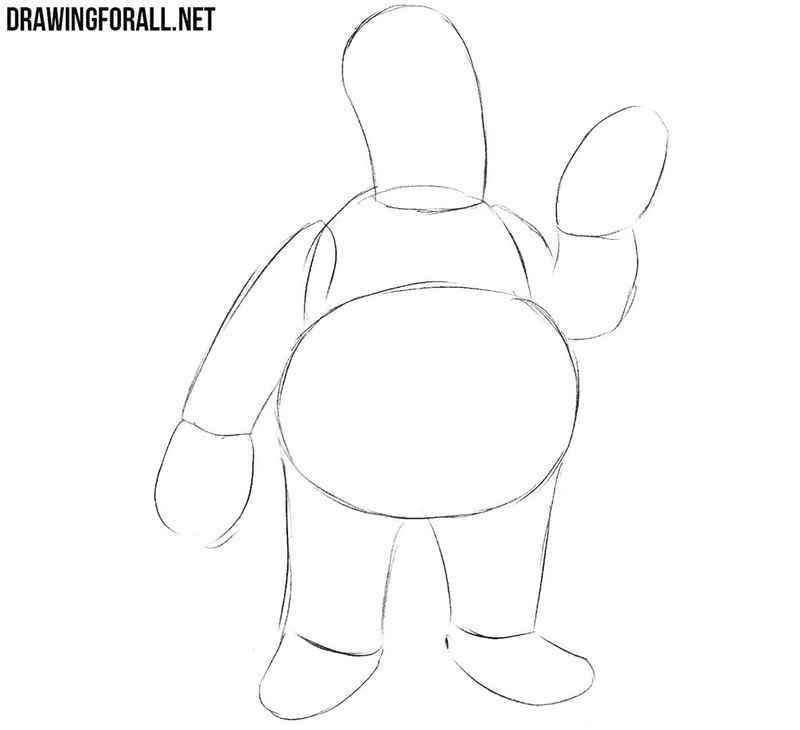 Sketch a round belly, chest and head. 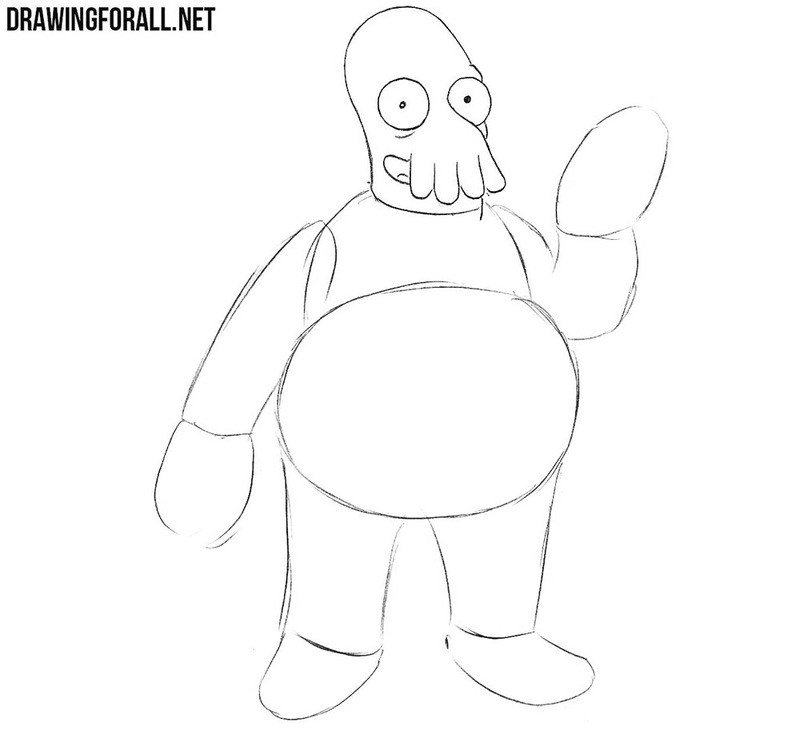 With the help of light lines sketch out the arms and legs of Zoidberg, as shown in our example. 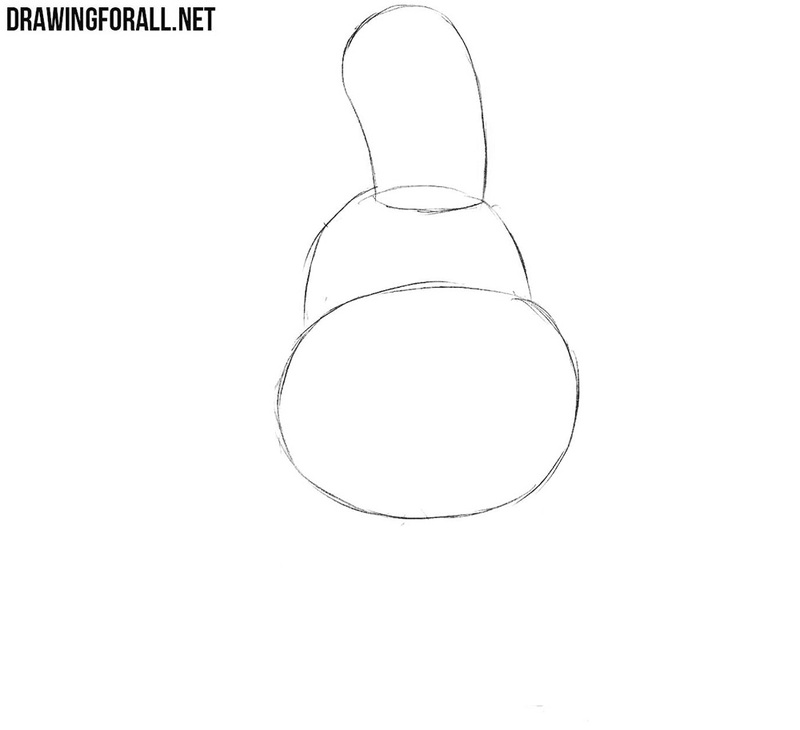 Here we will work with details – draw out large round eyes with pupils in the form of dots. 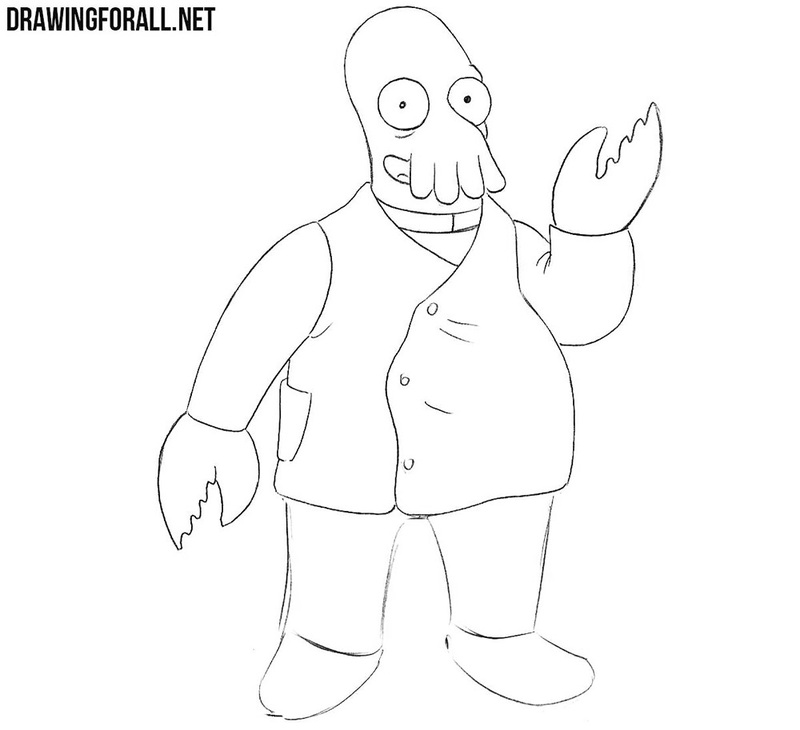 Now draw out the famous antennas (we think it’s called so) on the face of Zoidberg. 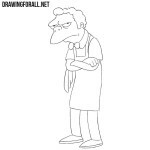 Draw the outlines of the neck and the corner of the smiling mouth as in our example. 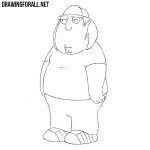 Now draw a collar and outlines of a thick torso, dressed in a robe. Carefully draw out the sleeves, buttons on the chest and folds next to the buttons and armpits areas. It is a simple enough step in which we draw out claws and remove unnecessary lines from the upper body. In the last step of the lesson on how to draw Zoidberg we draw outlines of pants and feet in flip flops. 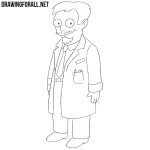 On our site there are many doctors, both quite normal doctors, and very strange and dubious, such as Dr. Nick Riviera.But Dr. John Zoidberg is probably the strangest and most unusual of all doctors on our site. 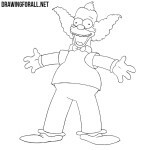 If you want us to draw some other doctor, or any other character, then write to us about it, and we’ll create a drawing lesson for you.